With mashed chickpeas, red cabbage, rocket & apple. 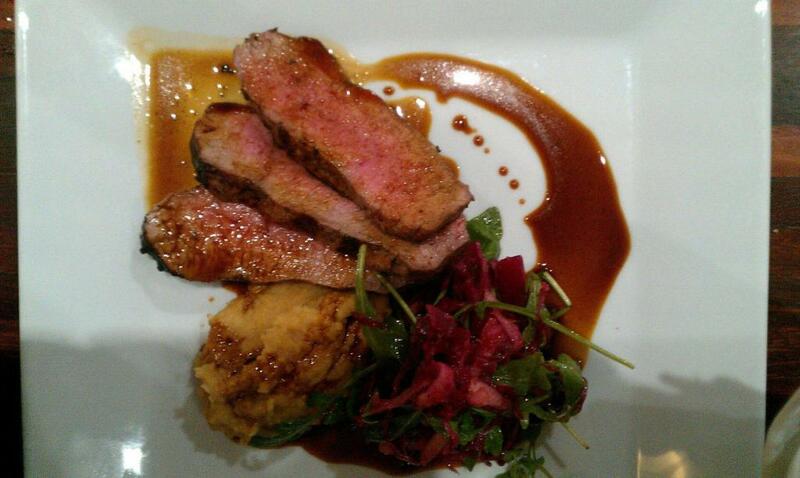 The venison was excessively charred in some parts, and that was the only significant flavour to the meat. The mashed chickpea tasted like a whole lot of mashed up chickpeas. Just moosh. The rocket salad was surprisingly not below average however. It’s not often that I see two separate things go wrong in one dish, but both these dishes got two things wrong. The rice pudding contained chunks of toffee that repeatedly prevented me from actually biting down. It was like an ingenious prank. But the rice pudding was pretty ordinary anyway. 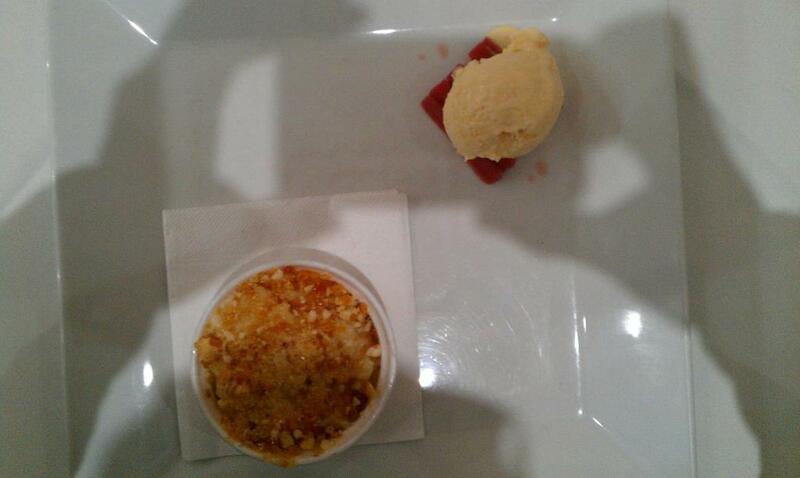 The rhubarb, on the other hand was sour, but paired with sweet ice cream. However, the ice cream didn’t neutralise the sour rhubarb, even when eaten carefully, due to the fact that it outlived the rhubarb in my mouth. Pretty poor for a fairly expensive restaurant.